Here you will find the significance of the triple hour 11:19 using a study of the guardian angels and an interpretation through numerology. Seeing a time with the same number of hours and minutes isn’t a coincidence, nor is it something which happens at random. These hours are known as mirror hours and have very specific meanings. The supreme forces of the universe use these hours to send messages and it is indeed possible to decipher what these messages are using numerology or an interpretation of the guardian angels. If you have been seeing the triple mirror hour 11:19 regularly as of late, you should not take this lightly because it means that the hour holds a message intended for your eyes alone. You will be able to find a certain meaning within this hour. It could suggest the finding of love, the resolution of a problem, good luck, the strengthening of friendships, the acquisition of a new job, a promotion, or many other things as well. But in order to make the meaning clear you will find the message sent by your guardian angel through this hour as well as its significance in numerology below. The angel Lehahiah is the angel of cooperation and obedience. In connection with the triple mirror hour 11:19 he will bring you success, respect, and faithfulness. He will foster stability and security in your work. Under his protection you will become a modest person who works hard to achieve success. You should also know that this angel will provide you with the ability to adapt which will allow you to continue moving forwards in your life with complete serenity. This guardian angel is your patron and protector and also symbolizes calm, while at the same time helping to give you an understanding of the work of the divine. Thanks to his supreme power you will be able to control your emotions and will no longer be susceptible to unhelpful emotions like fear and anger. If you are an aggressive, restless, or overly emotional person, Lehahiah will be of great help to you. He will also help you if you have a tendency to act violently towards those around you. By his side you will become a generous and faithful person and your body and mind will coexist in perfect harmony much like your actions and your words. He says that you are capable of passing on to your peers the peace and force of will that Lehahiah has placed within your inner self. For you, this will all be a source of both material and spiritual wealth. Lehahiah is also using the triple mirror hour 11:19 to tell you that he will offer you his gifts and powers to allow you to work towards a higher cause. He wants you to work with respect, humility, order, and discipline, and you will be able to enjoy the complete trust of your superiors. 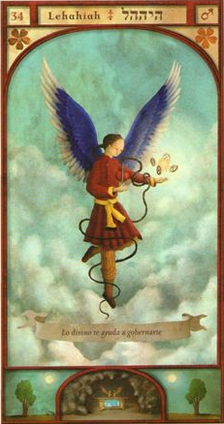 This angel will be with you all the way along your path to allow you to find yourself a prominent position in the world which is both desirable and stable. This angel is using the triple mirror hour 11:19 to let you know that he will get rid of any inferiority or superiority complex from your mind all while protecting you from your competitive spirit. He will also distance you from unfaithful and unreliable people. By his side you will no longer be the victim of aggression, dispute, conflict, anger, and more. 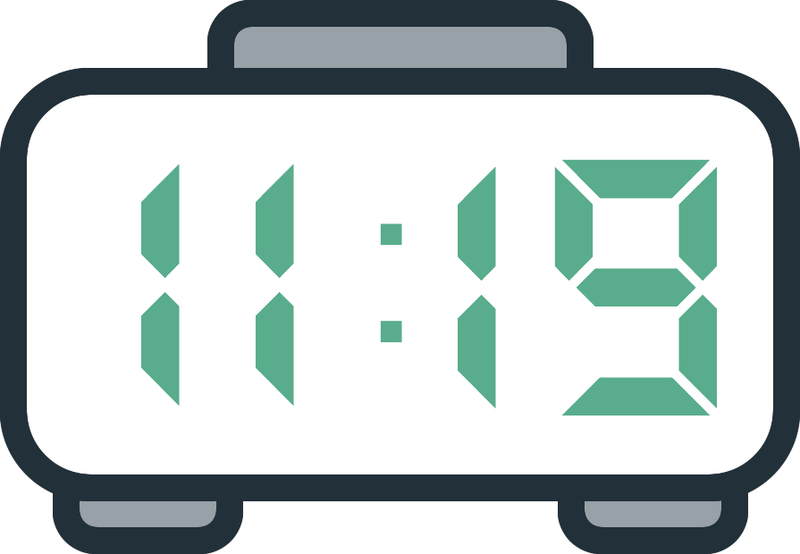 What does 11:19 mean in Numerology? Before getting to the heart of the matter let us first point out that in numerology the number 30 is connected with alliances, with communication, with one's social life, and with gifts of an artistic nature. In relation with the triple mirror hour 11:19, it is letting you know that you will soon meet with success but to get there you will have to develop your abilities of communication. This angel number also tells you that it will help your communication to improve and by way of this you will be able to express yourself easily so as to form strong connections with others. This will allow your social life to blossom. Under the influence of this number, partnerships and collaborations will be fruitful. It is as if the whole world is smiling upon you and you will be able to easily manage all the little worries of day to day life. The number 30 also tells you that if you know how to maintain good balance in your life, its positive vibrations will bring you good luck and joy and any problems will not last for long. However keep in mind that the numerology of this number also points to a certain amount of indifference and flippancy. You should be wary of hypocrisy, trickery, and deceit. The angelic numerology behind this number also reminds you that you are an enlightened person who is able to bring your zest for life wherever you go. Thanks to your positive energy you make every encounter an exciting event. This great energy makes you feel happy. You are also a kind person. You like to be close to everyone whether they are your friends, family, or even household pets. 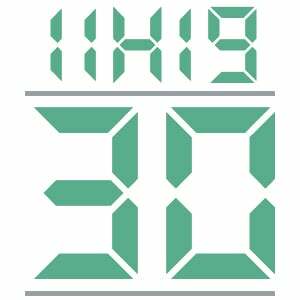 Through the triple mirror hour 11:19 the number 30 also shows that you have a good imagination and a special gift for literature and theater. You understand art and you know how to express yourself through it. In your life you have always had an active imagination which will be vital for you in allowing you to self-actualize and find happiness. Any comment on the 11:19 mirror hour?